For those of us stuck at home tonight, I've decided to post about this game on the fly as my hands are glued to the keyboard rather than illuminated plastic inflated tubes they are passing out at the garden. After the second.... After starting the 2nd period shorthanded, Avery got a little over excited and took a bad penalty. .. Moments later after being shove face first toward the crossbar while working near the Washington crease, he would be called for another as he and Poti were racing for puck and Poti folded like a lawn chair after a nudge from Avery. But the Ranger drew penalties too.. well they did before taking more penalties. Indeed its difficult to fight come back from a 2 goal deficit while being shorthanded for most of the period. That's why we're now down 3-0. While some of these penalties remain mystery calls, what is clear.... is that this Rangers team hasn't played a tight enough game to this point to effectively neuter the caps like they have in the first two games... and make the cap's man advantage nor their sense or urgency at even strength, a non issue. The final 20 is coming up and despite what that 'pussifying commissioner' says, a message needs to be sent. We can still win this game, but even if we don't... this needed to be a hard hitting, pressure hockey.. shut down period that shows the craps and the rest of the league that we won't crumble for 3 games like the flyers did last season after being up 3-0 in their series against Washington. LETS GO RANGERS!!! After the third, ugh... More of the same bullsh*t. Penalties abound and lazy play. This was the worst possible game the Rangers could have played. Weak on finishing their checks... overconfident lackadaisical passing. Half hearted shots. There were 2 or 3 finishing opportunities that should have been buried but the players didn't care enough to aim for the top of net. 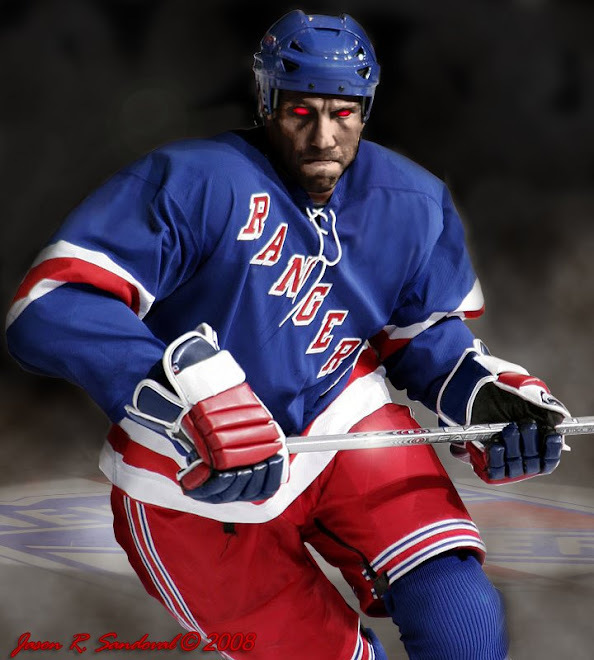 Avery for all the penalties he took, was the only Ranger that showed an ounce of resistance to what was going on. Up next game four. This is garbage. Caps just scored their third and The Garden went dead - silence, afraid to boo Redden - still shortlived hope in motivating Scott gomez to make a play, for reliable Callahan or Dubie to ignite things...this is ridiculous. From the sounds of it, the crowd came into the Garden more ready for blood than our boys in blue. What happened to the smothering team from the last 2 games. We're playing this game at half speed. Even the korpedo looked reduced to a land mine on that fast break. Then again Korpi seemed to be the sacrifical lamb this series offered up to AO as a whipping boy..
That Ovechkin defensive diving play displayed "a will to win" and you are right J....korps fought back and both him and Staal are Ovechkin's toys of the night. The days of old and Renney back to haunt us. BTW, Zherdev is USELESS!!!!! J - the Flyers were never up 3-0 against the Caps last year (it was 3-1 at one point, up 2 games just like the Rangers used to be). And the Flyers WON the series, so your point is? I guess the point is that all Ranger fans are hoping the two game lead is gonna be enough now that Avery's spots are showing and the Caps are waking up. Momentum has certainly shifted, that much you did illustrate. Dark - do us a favor and ask your cronies to do a quick fact check (and proof-read, maybe?) before posting. Much appreciated. FDA....stuff it. Just like a Flyers fan...no class. Spend some time with some of your Philly blogs...oh, right...there aren't any. 3-0, 3-1...my point is, the flyers narrowingly escaped, after having a2 game lead with only victory left to seal the deal... and we definitely don't want to be that kind of team. Momentum has shifted MOMENTARILY (until we see how the Rangers play in game 4 - because if the caps did wake up... its only because we allowed the sun to rise... Ovechkin still can't hit the net.) and if you think Avery cost us the game yesterday, watching flygirl games must make you dumber than I thought it could have. The whole team failed to play a tight game and that's why we lost. If we could overcome Naslund's penalty fest in the previous game, we certainly could have overcame Avery's, playing the same all around game. They didn't work hard enough to score. The difference wasn't the penalties, it was how we played around them because you can still kill every penalty and not win a game with a score of 0. The Flyers are playing the same game as the Rangers this playoff season. Though the Flyers have more bonafide studs and sharpshooters, they play the same inconsistent game the Rags deliver. I like the Rangers but the Caps are the better team (ask any Rangers fan) so if they pull this one out in six, then there are no other teams in the Eastern Conference that they cannot beat. The Caps are the biggest threat in the East. 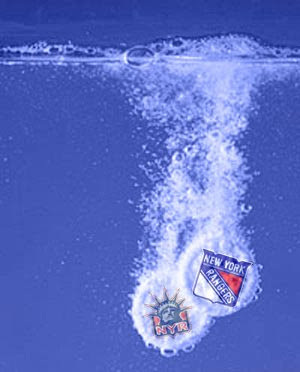 Even the Rangers can beat Boston, Philly and NJ. it's just how it is. We shat the bed last night!